The countdown is on. Only a few more days until the official start of summer holidays. Children are excited. Adults are excited. I mean who does love the relaxed summer days? The opportunity to get together with friends and family, the sounds of children playing, and the cooling taste of a frozen on a warm summer evening. Now, I don’t know about you but for me, my summers as a child seemed magical. I grew up on Vancouver Island where I remember weeks of riding my bike around the neighbourhood, daily excursions to the forest behind the host to building forts, and ventures to Morningside Beach and Piper’s Lagoon flipping rocks to catch crabs and swimming in the ocean. What do your remember about your summer holidays? Feel free to share your favourite memories in the comments below. Given our fond memories as children, we often want to recreate similar magical moments for our children. And, with only 18 summers with our children, the pressure to provide memorable summer holidays can mount. If you are worried about providing rich, engaging opportunities for your children this summer…you may wish to first review the following study. It may just alleviate some of your worries. 29% of the parents worried their children wouldn’t have an enjoyable summer in they didn’t travel somewhere, didn’t go to theme parts or visit a waterpark. Do you notice how relatively simple the activities are? The activities are active, highly sensory, and do not require a great deal of money, planning or travel. Kids know it….the simple pleasures are often the best. 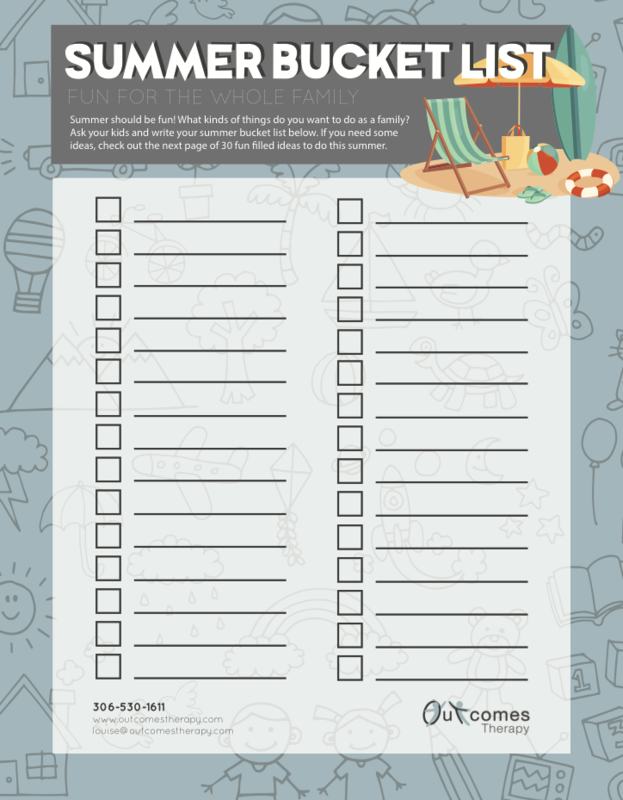 To help you and your family experience a joyful summer holiday without losing your mind, it can be helpful to develop a Summer Bucket List. Spend an evening discussing all the different things that you want to ensure you take time to do this summer. Prioritize your Top 30 Activities that you want to ensure you do before the snow flies. From there, start putting items on the calendar. 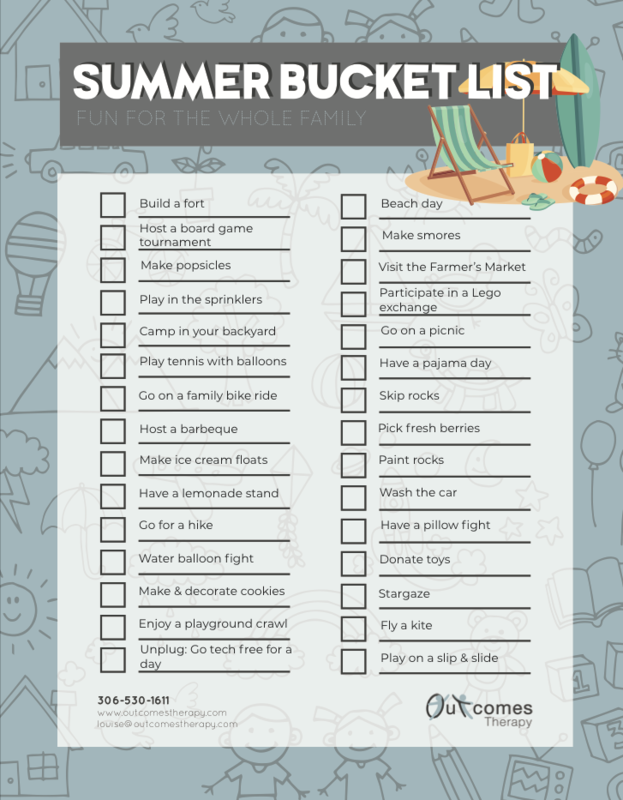 I can promise you, if you don’t plan for these activities, the days will pass and you will be heading back to school shopping thinking where did the summer go…we didn’t even get a chance to…. 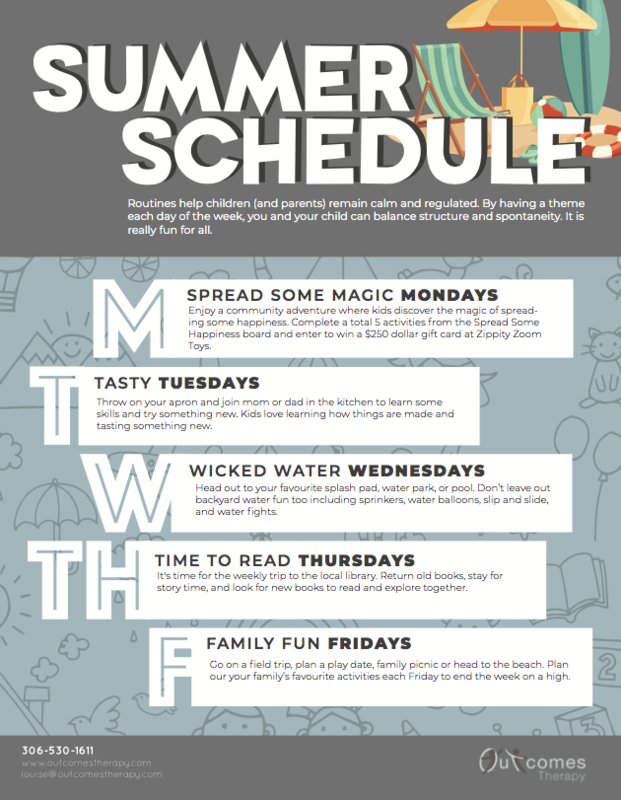 In addition to looking at the summer as a whole, it can be helpful for kids to maintain summer schedule – especially around eating, sleeping, and getting sufficient exercise. One strategy that can help is developing a Morning High Five. The Morning High Five 5 outlines 5 activities that need to be completed in your household by a specific time each morning. It should outline 4 personal care activities (e.g., getting dressed, brushing your teeth, washing your face, eating breakfast) and one chore (e.g., emptying the dishwasher, putting clothes in the hamper, sweeping the kitchen floor). Each person can have their own distinct five items – but as a family, you can expect each person to complete their five tasks before the certain time. In addition to maintaining some structures and routines, some families find it helpful to have a theme for each day of the week. To get you started, feel free to download the following Weekly Schedule. By providing such a schedule, children balance routine and structure, which is very calming and regulating. For example on Tasty Tuesdays, take time with your kids to prepare easy to make breakfasts & high protein snacks. By having high protein snacks available, you can avoid the dreaded “Hangry Child” or “Hangry Adult” – Bad tempered or irritable as a result of hunger. Don’t let a wonky summer schedule cause your children to become hangry. Always be prepared with these super healthy and filling snacks. In addition to taking time to plan and prepare for your kids, it is also helpful to ensure that you are carving out time for YOU, scheduling some alone time, and practicing your stay cool mama strategies (using the mantra, “I love my Kids…I love my kids, cleaning, whispering, yelling elsewhere, taking a time out, or pretending your are on camera). First and foremost, put away some toys. Children play longer and are able to sustain their attention to a task for a longer time when they have fewer toys out. Remind yourself that it is good for children to be bored. It enhances their creativity, flexibility, and problem solving. Let them be bored. Co-create an “I’m bored jar” with your children. To do this, get a jar and some slips of paper. Write one activity on each piece of paper and drop the paper in the jar. Try and come up with as many activities as you can. Then, when one of your children says the dreaded phrase, you can direct them to pull out three ideas from the bored jar and to complete 1 of the 3 activities. Ideas for what to place in your bored jar may be found in this Ultimate Bored Jar Activity List. For many reasons, it is important to regulate your child’s exposure to technology – especially during the summer months. To do this, start by negotiating with your child, how much screen time is appropriate each day. From there, divide this up into 8 chunks. For example, if you allow 2 hours of screen time per day, each chunk will be 15 minutes. From there, allow you child to play, however, after each 15 minutes of screen time, have them colour in a circle or screen. When they have run out of circles or screens, they have no more screen time for the day. While this can be challenging at first, as children begin to explore other play activities that they can engage in, it will get easier and easier. 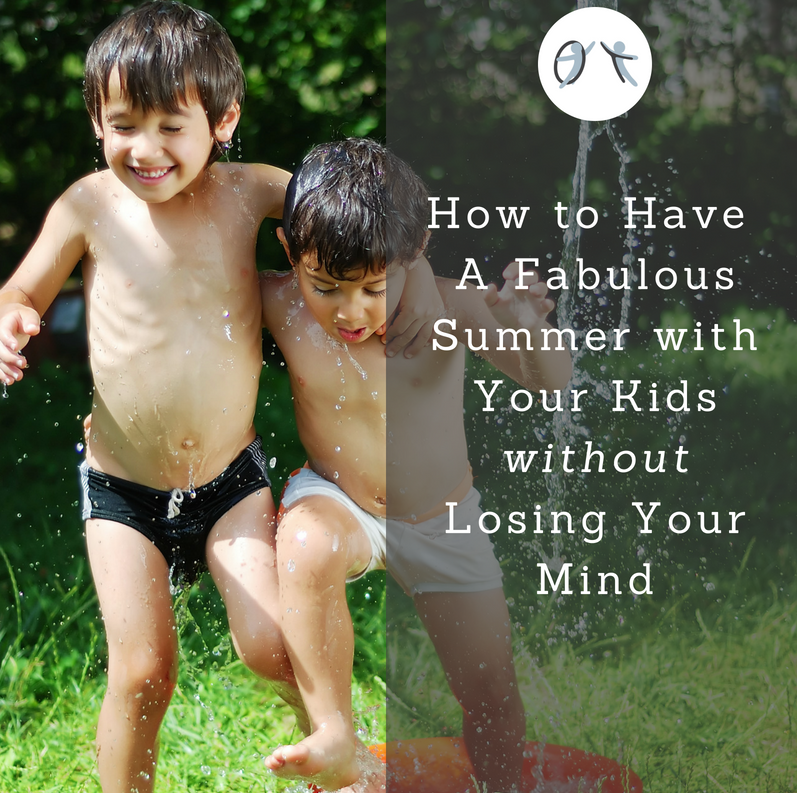 Our last strategy towards Having a Fabulous Summer With Your Kids Without Losing Your Mind is to encourage children to help others. When we help others, we get a “helper’s high” that is calming, regulating, and builds feeling of self-competency. 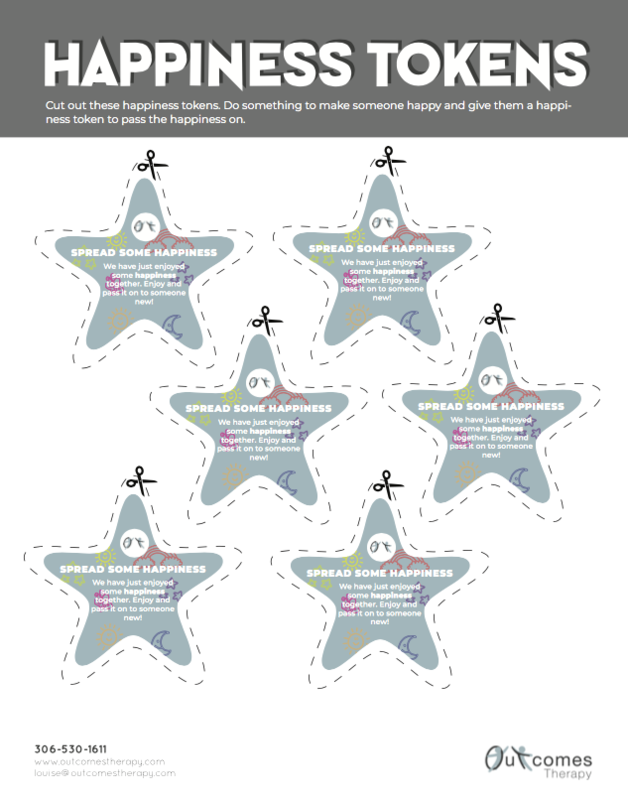 To provide some motivation to your children to get started with helping others, we are launching a Spread the Magic of Happiness Project this summer. 3. Optional: Take a picture of your child completing each task and share on Facebook using the hashtag: #SpreadHappinessSK. 4. Print your child’s name, parent/caregiver’s name, phone, and email on the bottom of the Game Card. 5. 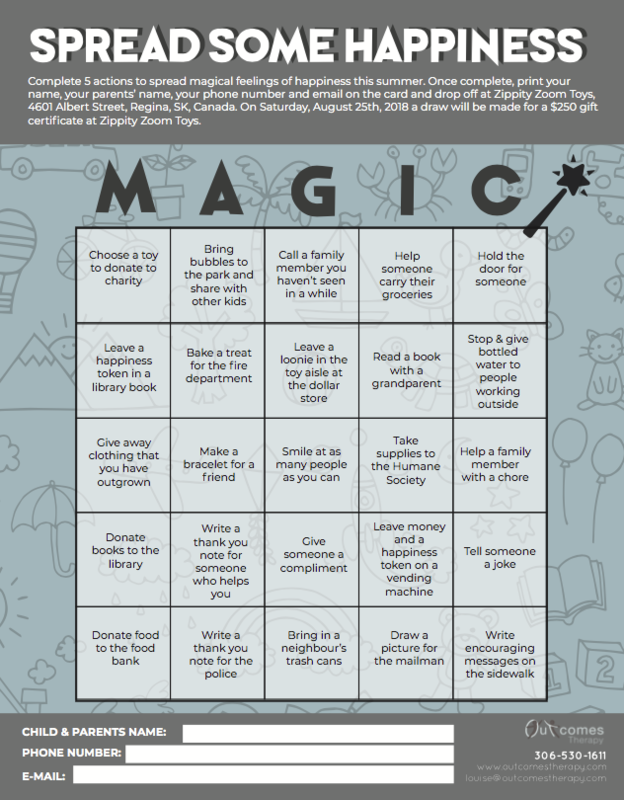 If you live in Regina, drop your completed Game Card off at Zippity Zoom Toys, 4601 Albert Street, Regina, SK by August 24th, 2018. On Saturday, August 25th at 1pm, we will be drawing for a $250.00 Gift Certificate at Zippity Zoom Toys. Let’s Spread Some Happiness Saskatchewan! This entry was posted in School/Home. Bookmark the permalink.